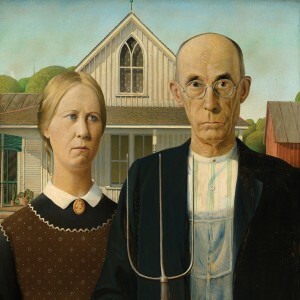 Americans, especially Generation X, don’t want to be bothered with lots of gardening chores. Why would flowering bulbs appeal to people who want an easy, low maintenance garden? Find out. Whether your home is formal or informal, there are plant pictures made with flower bulbs that will enhance the look and fit with the style. They are usually very low care, and low cost. Which plan or combination will give the look you want? 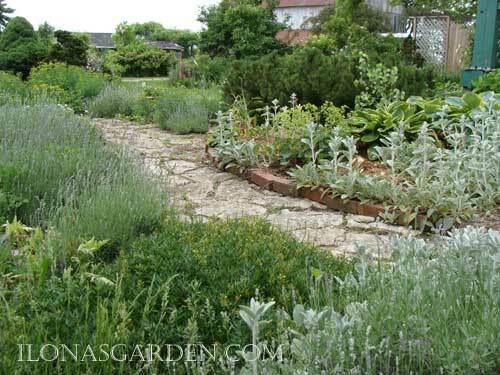 Wishing for a natural style like a rock garden? One filled with small bulbs partnered with low growing perennials like moss phlox? Or an Alpine scene with miniature conifers? Perhaps beds of naturalized bulbs which are later covered with all season, low-maintenance plants like sun-loving spurge or shade garden hostas? Are you dreaming of containers filled with colorful bulbs mixed with annuals and foliage plants? Or maybe your front yard of formal foundation plantings which come alive with color in spring or summer and return to strong green lines for the rest of the year? Tulips come in a wide array of colors and make a great show in mid-spring. Flowers grown from bulbs are often bright and colorful- they come in every hue in the spectrum. Most often healthy and without problems, they count among the easier plantings in the landscape. Don’t like them? Simply lift, and dispose. Economical when planting the more common varieties which are loved for good color, tried and true performance, and ease. 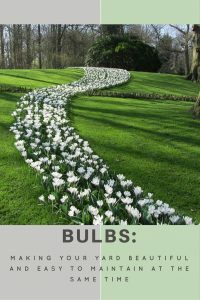 Regular clumps of one type of bulb will give a repetition of color and form that can be used in both formal and informal plans. 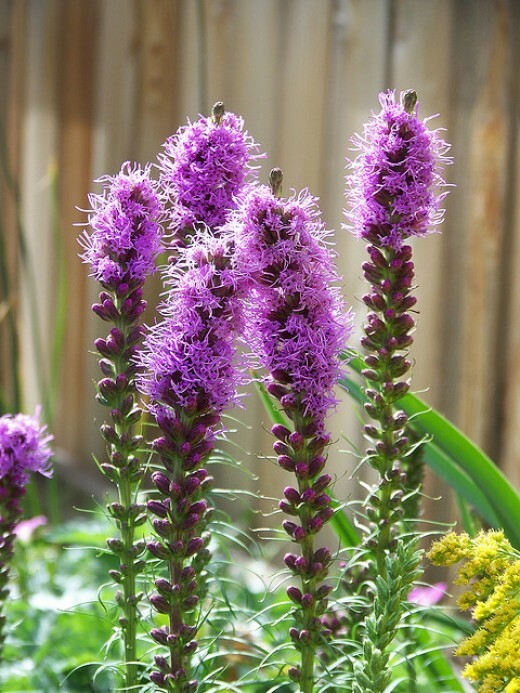 Mixed among ornamental grasses in a modern plan, a summer flowering bulb like Liatris gives sparkling lavender or white color just as its common name implies: “Blazing Star”. Summer bulbs such as Cannas or tubers like Dahlias are large splashes of color in any landscape. Lining a foundation or filling a bed with a pop of splashy color, they have strong form and tropical color. Any one of these ideas for planting a garden of bulbs could create quite a feature, and an entire landscape can come alight with several areas dedicated to the addition of flowers that come from tubers, corms, bulbs, and other underground storage stems or roots. Born between 1960s and the early 1980s? …But I think they are just very busy building their lives in ways that don’t involve putting lots of hard work into their gardens. That could change, but one thing that is true for every generation: We all appreciate a plant that gives back more than we put in with beauty and value in our yards. Even busy GenX homeowners will appreciate a landscape that looks good, yet requires so little work for a great return. It is the ideal way to add value to the yard in a way that last year after year. 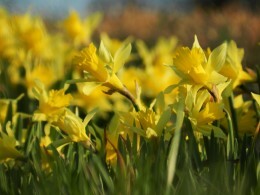 When it comes to many varieties like daffodils and scillas, they multiply with no work at all. Summer Tender Or Cold Climate Hardy? Which choice is for you? 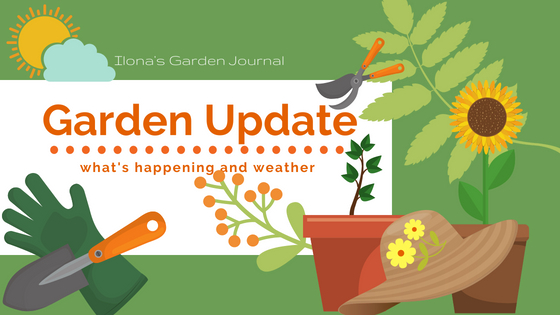 Summer blooming, but tender or spring blooming cold hardy plantings? Tender bulbs are planted in the spring, and cold hardy bulbs are planted in the fall. 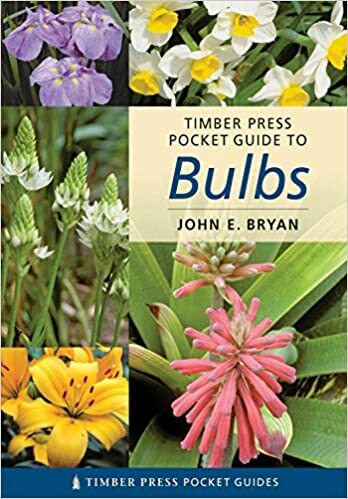 Pocket Guide to Bulbs (Timber Press Pocket Guides) Compact size makes it perfect to keep handy when making your plant orders or visiting the garden center. 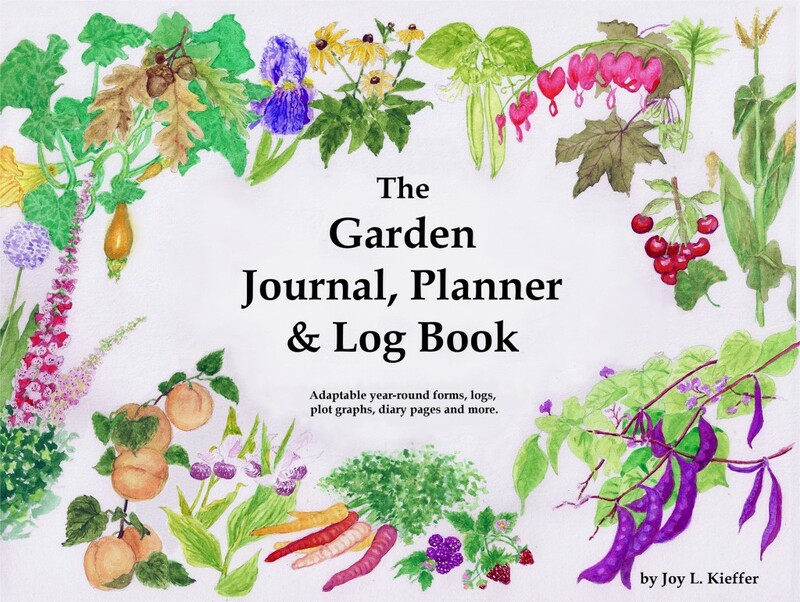 Useful for quick reference when making notes in your garden journal, or when checking facts. When so much beauty is available for your yard at such a reasonable cost in time, effort, and money, this is how to plant when you don’t want to work all day in the garden. Miniature plant factories with everything needed to make a good show. Crocus are early blooming. 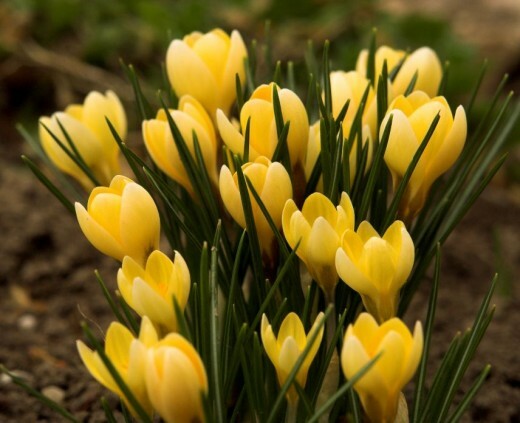 They are among the most beloved of cold climate bulbs and a symbol of spring. 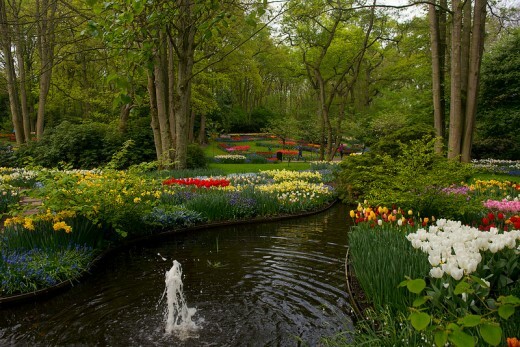 Many bulbs are just planted once and then multiply for years afterwards. They don’t require much care or maintenance and they disappear for the summer (go dormant). 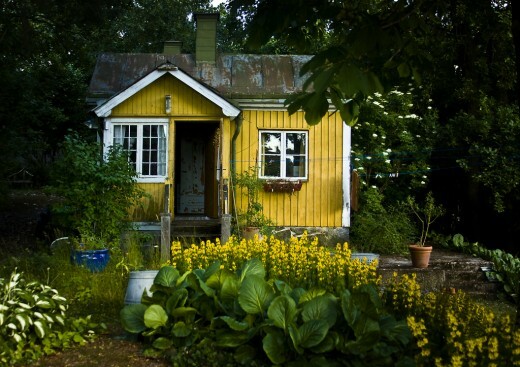 Even if you only have a small urban strip of a garden, or can’t see yourself digging and weeding, this kind of garden can improve the curb appeal while never cutting into your summer leisure plans. This is a closeup of the pretty green and gold Eranthis. 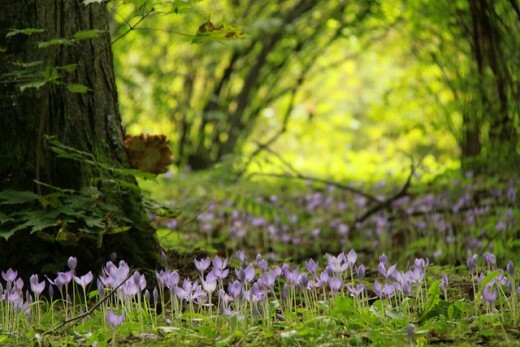 Even small bulbs have a big impact when grown in large numbers. many of these “naturalize”, which means they multiply on their own as if growing in a natural setting. Most have polite ways of spreading, but you can easily plant large number and instantly get the same results. 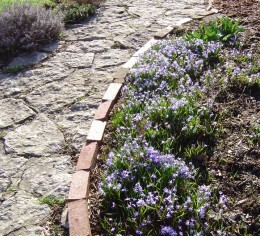 Scillas, Puschkinia,and Chionodoxa all do this, but a lesser known choice is the Winter Aconite, or Eranthis hyemalis, featured here. 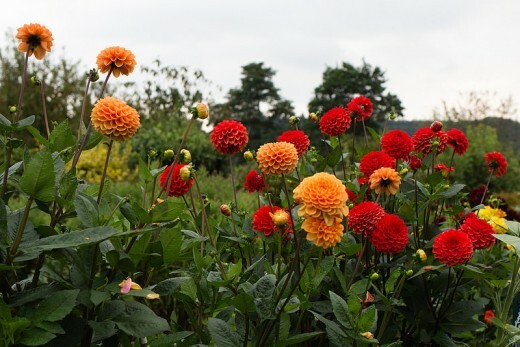 Dahlias come in many sizes and forms. They are tender bulbs in cold climates, but their color and decorative forms make them an outstanding addition to the garden. Dahlias, Cannas, Caladiums, and Gladiolas are summer bulbs, not hardy in cold Northern climates. They make a big splash of color from their flowers or foliage, and don’t need much care, but they must be lifted and stored for winter in a cold climate. They can also be grown as annuals each year. 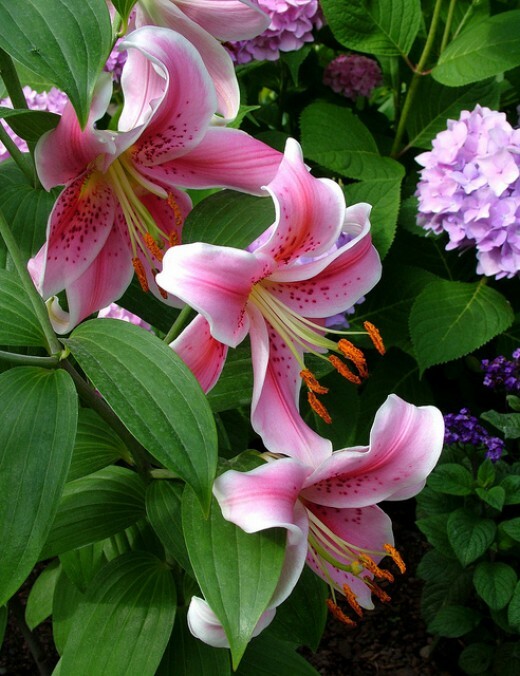 Oriental lilies have an exotic look with loads of sweet fragrance. Their late summer bloom time brings color and perfume into the garden when midsummer flush of many perennials are over and the annuals look tired. Autumn Colchicum is delicate and looks something like crocus flowers. 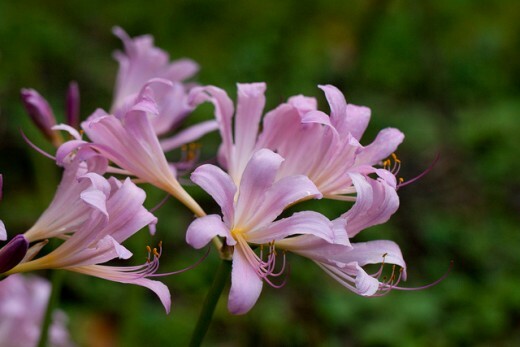 This old fashioned favorite is also called “Naked Ladies” because the thick strap like foliage appears in the spring only to disappear long before the stalks of pretty pink lily like flowers appear later in the summer. Now you can understand its other nicknames like “Resurrection lily” and “Surprise lily”. The spidery petals are a pink that harmonizes well with almost any other color. They will grow in average soils, even in clay. Sun or part shade, and average moisture. Plant 5 to 8 inches deep, with the shallower depth in heavier soils. Prairie flowers bloom in midseason summer months. 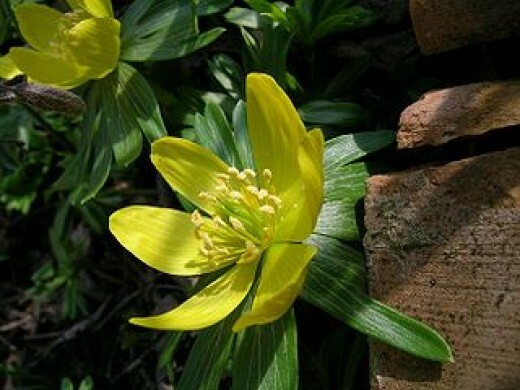 They are American natives which make them hardy and a good feature for natural gardens. Cyclamen hederifolium is a small groundcover bulb which gives late summer/ early fall bloom. Its graceful pink flowers are charming and perfect for Fairy gardens. The heart shaped, variegated leaves are handsome, and this is one of the few plants that will grow in somewhat dry shade. 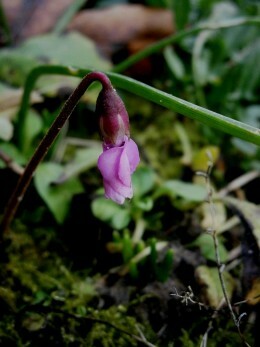 A related plant is Cyclamen coum, which will bloom in the spring. Which Bulbs To Plant Once And Forget? Where To Put Bulbs In The Garden? Planted around garden ornaments, features, or paths, seasonal color accents and gives additional texture to the landscape design. Fronting the shrubs, in spaces between tree roots, under a late groundcover of hostas, the flowers appear before the foliage, they take little soil and fade away before summer heat. 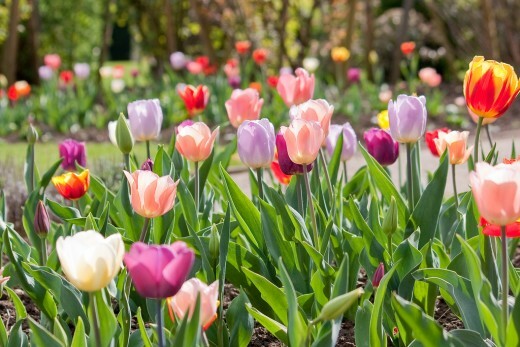 Many containers utilize dahlias and cannas, Spring displays of tulips are not as common in the USA as in England or other places, but give big impact when they are. A large flower pot all with one type in a single color makes a strong statement and gives drama. Tall growing bulbs like drumstick alliums, scattered about within groundcovered areas could bring another dimension to a neglected area of the yard in early summer. 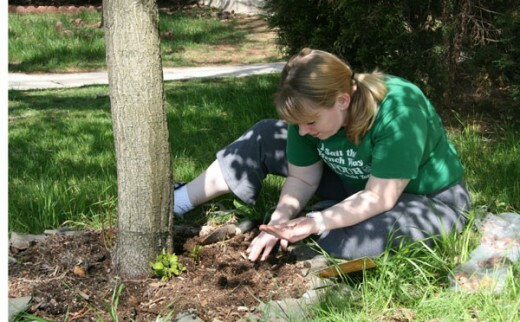 A favorite way to include color is in the soil area around trees. Bulbs don’t require much soil, water or fertilizer and so don’t interfere with the needs of the trees. They provide a spot of color before the trees leaf out. Wet or poorly drained ground in the number one reason for failure with these plants. Sunshine is necessary, but good drainage above all else. If you are planting large numbers of bulbs, especially in grassy areas for a naturalized look, consider using a planting auger. It quickly drills into the ground, so you just have to add a pinch of fertilizer and drop in the bulb. Heel in to close up the space. 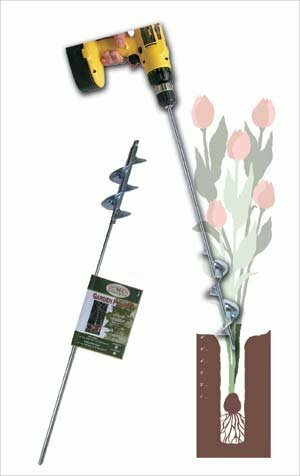 Heavy Duty Bulb and Bedding Plant Auger 28 In. Long by 2.75 In. Diam. Make easy work of planting a large number of bulbs. Auger attachment quickly creates planting holes. Daffodils, crocus, anytime you want to make quick work of a bulk amount of planting, this will drill separate holes. Assures depth without having to dig up entire trench. 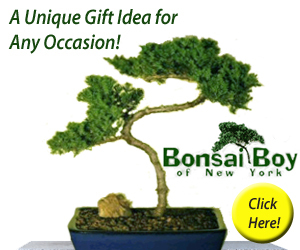 The ideal solution for planting under trees, on hillsides, or in the lawn areas. Whether you are the Boomer or Gen X generation, you will appreciate the way it takes the hard work OUT of putting in your flower bulbs. I bet you didn’t realize there were so many types of flowers that grew from bulbs or how easy they may be. Now, it is a matter of choosing which type you would most enjoy and planting them. 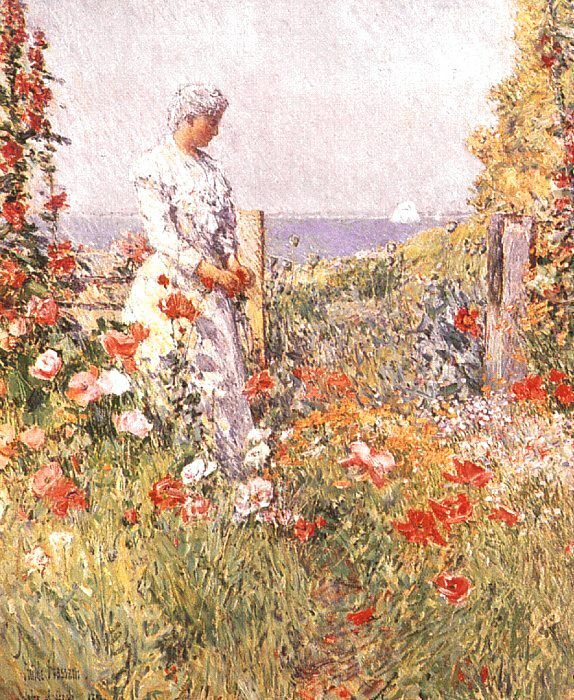 Some are very small, as you may have noticed, while some, like the lilies are very tall. Viewing your yard, which do you need? Tall and fragrant for beside the deck, or small spring bulbs along the bushes in the front yard, or perhaps medium sized with giant blooms like summer flowering begonias for your porch containers. If you give bulbs what they like at the outset (sunshine, good drainage, good soil, and a little fertilizer) they will demand very little from you and last for many years. It is not the best idea to mix bulbs into perennial beds. Perennials often need division and cultivating during the season; this involves slicing into the soil. Invariably bulbs will become dislodged and are often sliced with a shovel. Too shady a spot is not a great place to plant your bulbs. 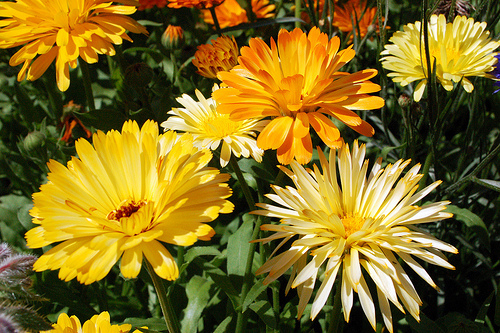 Almost all varieties need sunshine, ranging from full sun to part for best blooms. Remember that poor drainage can result in rot and the loss of your bulbs. Enjoy the beauty that will come from putting in the spring, summer, and fall blooming flowers from easy care bulbs.